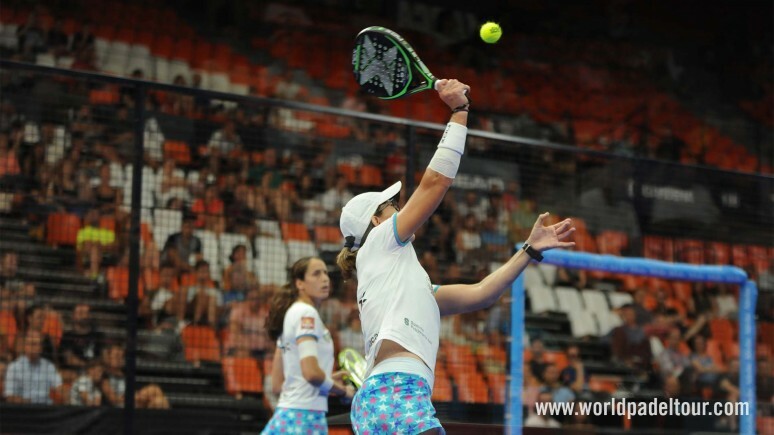 The second match of the day at la Fonteta was a tough test for the most in-form pairing at the moment, Gemma Triay and Lucía Sainz, as they came up against Cata Tenorio and Beatriz González. The number 2 seeds came out strong and won the opening three games. Sainz's power and Triay's control were more than enough to open up a considerable advantage. They controlled the net with quick transitions but Tenorio and Gonzalez showed their tenacity and made them fight until the end to win 6-3. Sainz and Triay needed a bit more creativity in the second set to overcome another sturdy response from their opponents and they found what they were looking for, winning 6-4 in just over an hour and a half.